For nearly 10 years, he made numerous trips to Geneva to represent Minnesota Advocates for Human Rights and the Sierra Club Legal Defense Fund at meetings of the U.N. focusing on environmental human rights. McDonald has traveled extensively to promote this and other causes, and has contributed Op-Ed pieces to newspapers highlighting issues he addressed in India, Ireland and Rio de Janeiro, among other places. 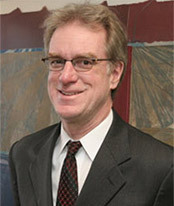 He frequently visited and worked with former WPI fellows during his travels.In addition to his work for Minnesota Advocates for Human Rights and the Sierra Club Legal Defense Fund, McDonald has served as the Chair of the Finance Committee and Vice Chair of Graywolf Press, one of the nation’s leading non-profit literary publishing houses. An intense interest in poetry led to his earning an M.F.A. in Creative Writing and Literature at Bennington College in 2001. Previously, McDonald earned his B.A. from Carleton College, where he majored in Political Science and Urban Studies, and his law degree from New York University School of Law, where he served as Executive Editor of the Annual Survey of American Law.